Hailey Hosler, 11, loves fishing, camping and doing most anything in the great outdoors. “I like spending time with my brothers, spending time with you and spending time with the dogs,” she tells her dad, Rodney Hosler. 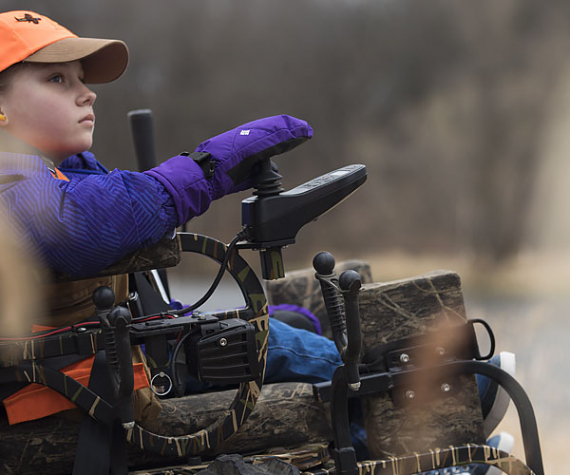 Hailey and her family get ready for hunting in the usual way, donning blaze orange vests and sturdy boots before piling gear into their truck. 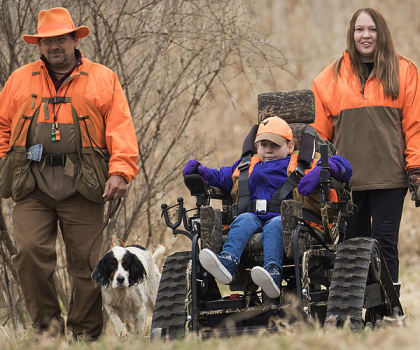 There’s one piece of gear the Hoslers need that most families don’t: a special wheelchair that helps Hailey navigate the muddy, often uneven, terrain. Hailey has spina bifida, a condition that limits the movement of her legs. The Hoslers make a point to include Hailey in their outdoor activities—they know she wouldn’t have it any other way. “Gillette showed us everything Hailey is capable of,” Hosler says. 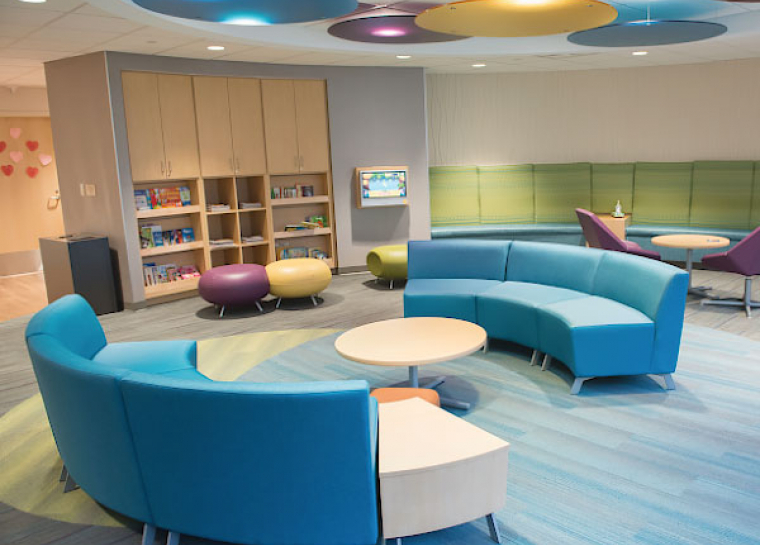 Patients were top-of-mind when Gillette redesigned its inpatient rehabilitation unit and St. Paul campus entryway, registration and waiting area. In 1959, Marion Burkhardt was a busy farm wife raising three young children in southern Minnesota. Life changed dramatically when the Burkhardts’ fourth child, Jim, was born prematurely. In 1959, Marion Burkhardt was a busy farm wife raising three young children in southern Minnesota. Life changed dramatically when the Burkhardts’ fourth child, Jim, was born prematurely. 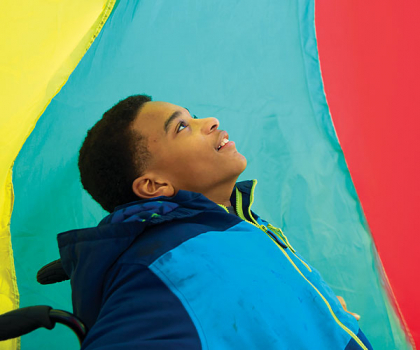 As a result of his early birth, Jim developed cerebral palsy. When the time came for Marion Burkhardt to select a beneficiary for her longstanding life insurance policy, she chose Gillette. Sadly, Marion Burkhardt passed away in November 2016. Jim passed away only three months later. 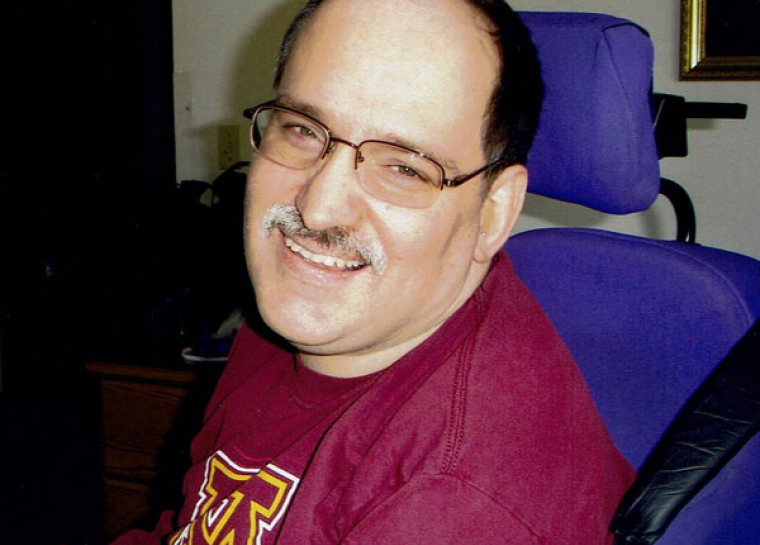 Jim’s family designated his mother’s planned gift to the Gillette Family Access Fund, which exists to ease the burden and expense of travel to St. Paul for families in greater Minnesota. 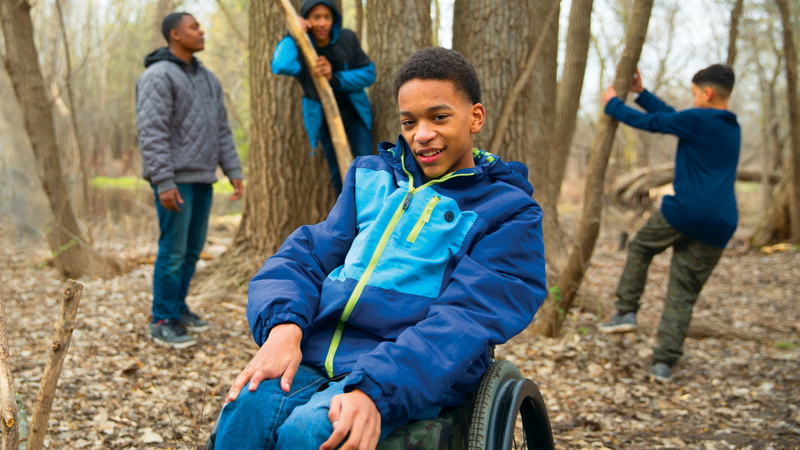 “What I love about leading is you get to teach people lessons about life,” says Elijah Blasingame, 13. Elijah knows a thing or two about leadership. He’s a patrol leader for his Boy Scout troop and he’s poised to become an Eagle Scout. Essential leadership qualities, according to Elijah, include good morals and patience. He learned the latter early in life when he underwent selective dorsal rhizotomy surgery to address muscle tightness caused by cerebral palsy. After his most recent surgery at Gillette Children’s Specialty Healthcare, Elijah’s already seeing improvements. “I can straighten my legs out all the way. It’s a lot easier to walk because I’m not, as my mom would say, walking like a T-Rex,” he jokes. The timing of Elijah’s procedure wasn’t a coincidence: He opted for January so he wouldn’t miss a much-anticipated Boy Scout camp this summer. Elijah’s mom, Janelle Blasingame, says her son’s care at Gillette transformed him from a watcher to a peer and leader. “Gillette gave Elijah the confidence, strength, and overall ability to do things that he never imagined he could do,” she adds. Spring in Minnesota means Lisa Evert can finally, after a long winter, take walks with her daughter, Jill Evert, who loves the outdoors. Evert strives to give Jill, now 19, as full a life as possible. But she acknowledges it’s a challenge. At age 2, Jill’s development slowed and began to regress. “We quickly realized something was very wrong,” recalls Evert. Her search for answers led to Gillette Children’s Specialty Healthcare. Genetic testing confirmed Jill’s diagnosis of Rett syndrome, a complex disorder that affects brain growth and development and mostly occurs in girls. Rettsyndrome.org, a national organization focused on advancing research, designated Gillette as a Clinical Research Center of Excellence in 2016. The designation, held by only 14 U.S. hospitals, is given to hospitals with robust research, family education, and clinical services. “We’re collaborating with hospitals across the country to bring the latest Rett syndrome treatments and therapies to Gillette,” says Tim Feyma, MD, a Gillette neurologist. Read more about Jill and our Rett designation on Kids Health Matters. Five-year-old Gavin Valentine recently experienced the thrill of getting his first bike thanks, in part, to the generosity of people who participated in Gillette Children’s Specialty Healthcare’s Pedal in Place event. Pedal in Place is a relay-style stationary bike race where teams of riders gather to compete and raise money to buy bikes that are specially adapted for kids who have disabilities. The event includes an Adapted Bike Expo where children can test ride bicycles and tricycles adapted to their needs. 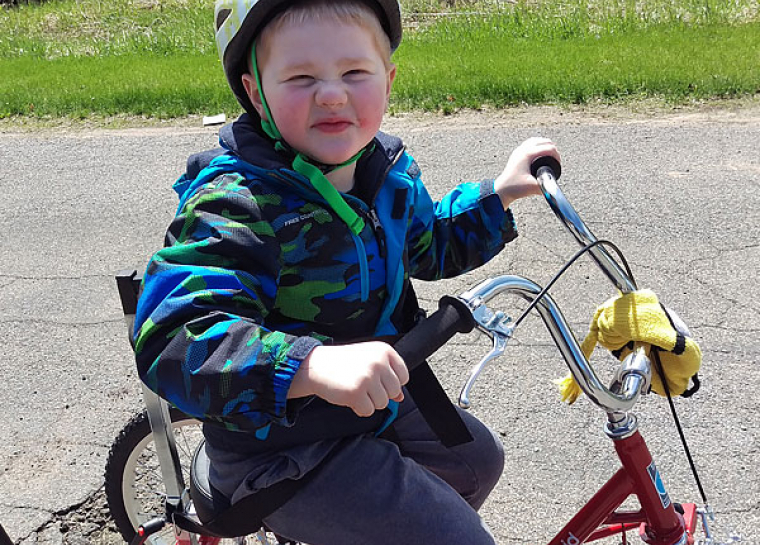 Gavin has cerebral palsy and needs a bike with a “hoop” and seatbelt to provide support for his body, “sandal pedals” so his feet can be strapped in, special handlebars and a particular breaking system. His new bike is a shiny, red, three-wheeled Triad. Adaptive bikes are expensive, but the 2016 Pedal in Place raised more than $64,000 and provided funds for 25 full or partial grants to Gillette families to purchase adaptive bikes. Gavin is thrilled about his new bike. “There’s a gas station near our home and he biked there, (I walked) and he made the cashier check out his bike and told her all about it,” his mom, Crescence Valentine, reports. Read more about Gavin on Kids Health Matters. Bethany Ill experienced an “aha!” moment regarding her career path during her freshman year at the University of Minnesota Duluth (UMD). That same year her little brother, Nick, underwent surgery at Gillette Children’s Specialty Healthcare to correct a foot deformity. She began researching social work as a profession and soon changed her major. She also started looking into ways to become more involved in her college campus and soon discovered Dance Marathon. major—came full circle,” says Bethany. 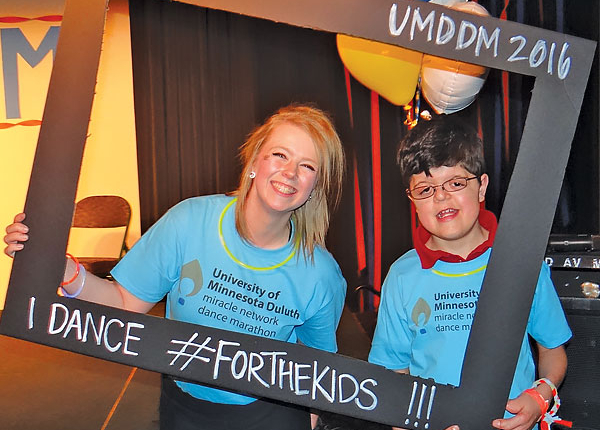 UMD Dance Marathon held its first fundraiser in April 2016 and recently completed its second. And Bethany? She graduated this spring with her Bachelor’s degree in social work. “Ten years down the road, I hope to be doing what that social worker did for my brother,” she shares. Gillette Children’s Specialty Healthcare is playing a key role in the clinical trials and research into Spinraza™, also called nusinersen, a drug recently approved by the FDA to treat spinal muscular atrophy (SMA). Parents of children who have SMA are calling the development the first real hope to improve their childrens' futures. Biomedical company Biogen approached Gillette in 2015 to participate in the “Embrace” clinical trial for the drug Spinraza. 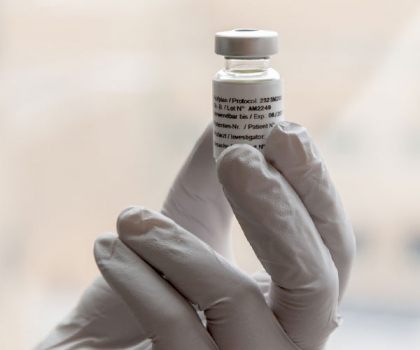 Randal Richardson, MD, pediatric neurologist, is the Neuromuscular Clinic director for Gillette and says he’s pleased and surprised the Food and Drug Administration (FDA) approved Spinraza so quickly. “I very openly tell people that this is probably the most important project of my life,” Richardson says. SMA is a muscular disease that affects the motor nerve cells in the spinal cord and gradually takes away children’s physical strength. Gillette was among a limited number of providers involved in the expanded access program to treat patients with SMA type 1 before the FDA officially approved the drug. 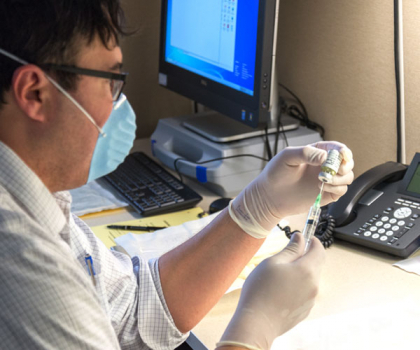 As part of this program, Gillette obtained Spinraza free of charge from Biogen, and did not charge the enrolled patients or insurance companies for the procedural or professional costs. Spinraza is an expensive drug. At the time of this publication, insurance companies and government agencies were still determining how to cover the drug’s costs for patients. Gillette has no involvement in, or influence over, the price Biogen set for Spinraza and is working hard to help families navigate the insurance issues involved with getting coverage for the drug. Read more about this research on Kids Health Matters. Accreditation from the Commission on Accreditation of Rehabilitation Facilities (CARF) lets patients know that providers meet the highest standards of care. pediatric inpatient rehabilitation and brain injury. The American Association of Critical Care Nurses, recognizes pediatric intensive care units (PICU) across the country for work to improve patient outcomes by aligning with standards for healthy work environments. 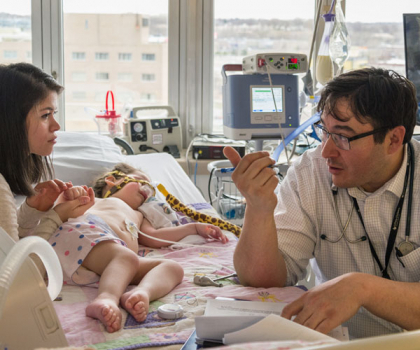 The Gillette PICU is the only children’s hospital in the region to receive the association’s highest honor—a gold level Beacon Award for Excellence. 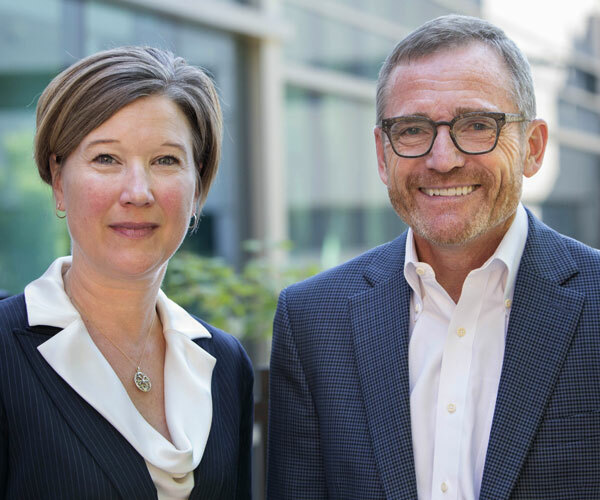 In 2016, the Minnesota Hospital Association (MHA) recognized Gillette for its leadership in patient safety. MHA gave us the patient safety award because of our ongoing promise to partner with patients and families, to work together with each other and other organizations, and to continue improving our care. Children’s Hospitals Solutions for Patient Safety (CHSPS)—a nationwide collaborative health organization focused on reducing hospital acquired conditions, readmissions and adverse health events—named Gillette as its March 2016 hospital of the month. Star Tribune has named Gillette one of Minnesota’s Top Workplaces every year since 2010. Employees of nominated companies take a survey. They rank their workplaces for leadership, benefits and the strategic direction. Star Tribune has named Gillette one of Minnesota’s Top Workplaces every year since 2010. Employees of nominated companies take a survey. They rank their workplaces for leadership, benefits and strategic direction. Gillette came out on top because our 1,433 employees say we’re a great place to work. In 2016, Becker’s Hospital Review recognized Gillette as one of 150 great places to work in health care. Becker’s Hospital Review recognizes Gillette for workplace excellence, benefit offerings, wellness initiatives, efforts to improve professional development, diversity and inclusion, work-life balance and a sense of community among employees. Advisory Board Survey Solutions named Gillette as its 2016 Workplace of the Year. Gillette was recognized for exemplary engagement among the nation’s leading hospitals and health systems. Surveyed in 2015, Gillette exhibited the highest percentage of engaged employees. In 2016, the Minnesota Hospital Association named Gillette a best hospital workplace. Gillette was recognized for being a great place to work—where employees are committed to serving patients, feel supported, and where professional development is encouraged. 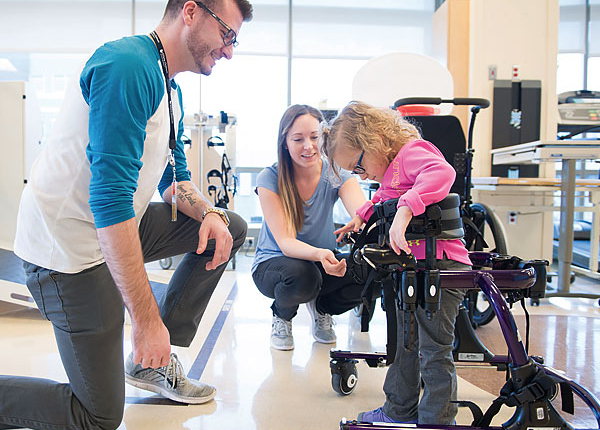 At Gillette Children’s Specialty Healthcare, children who have cerebral palsy sometimes undergo selective dorsal rhizotomy surgery to help reduce tight muscles (or spasticity) caused by the condition. 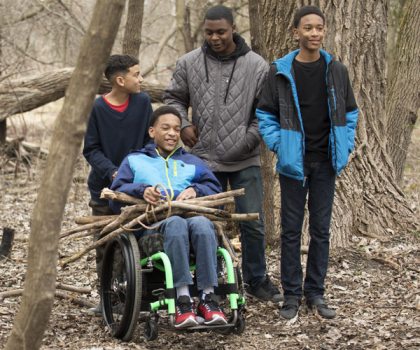 Following surgery, they first spend several weeks using something called a prone cart when they’re not in therapy sessions. Lying flat on the stomach (also called a “prone” position) can contribute to good surgical outcomes. 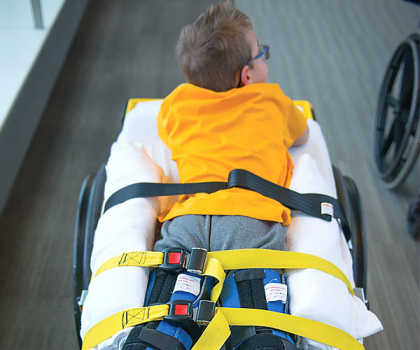 Gillette rehabilitation therapists first envisioned a prone cart just for kids in 2009. In 2016, the Gillette Prone Cart received a patent from the United States Patent and Trademark Office. 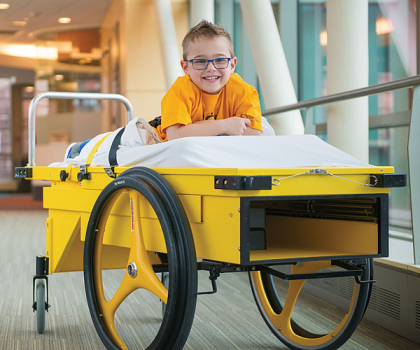 With expandable length, an adjustable handle and other built-in features, the new carts make exploring the hospital or wheeling to therapies a breeze. The Gillette Prone Cart is now available for purchase by other health care organizations for patients who undergo rhizotomy surgery and other procedures that require children to be prone for long periods of time. Organizations have anniversaries, but at children’s hospitals we have birthdays. When Gillette Children’s Specialty Healthcare was established in 1897 it became the first state-supported hospital in the country specifically devoted to treating children who have disabilities. Now an independent hospital, it seems worthwhile to reflect and celebrate our 120th year. Those who founded Gillette didn’t do it to make money and they certainly didn’t do it because it was easy. They did it because they recognized that there was a patient population that required care focused on their unique situation. In this way, Gillette is a fundamentally Minnesotan idea. An organization grounded in the principle that we exist to do right by one another. That we take care of our own. This notion is central to our mission and it’s what has sustained our organization to this day. At Gillette we treat children who have some of the most complex illnesses imaginable. 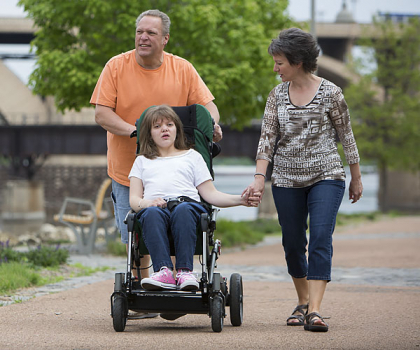 We see those who have cerebral palsy, spina bifida, epilepsy and other muscular, neurological and skeletal disabilities. Many of our patients have overlying conditions for which there are no cures. Most of our patients will require continued care and therapy throughout their lives, but we don’t look at our kids as problems that need to be solved. Some might see the wheelchair or the brace and forget the child inside it. But we meet our patients where they are, truly see them and try to help them get to where they want to be. That’s why we’re here. It’s what makes us special and it’s why our work continues. It was the right thing to do in 1897 and it’s the right thing to do today. Too often our patients and families are pushed to the margins of our society. They’re missed. Or simply left out. Those who founded Gillette and those who work here now believe this to be an egregious error. Anyone who has strolled through our hospital halls and spent even five minutes with our patients will see their innate value to our society. We believe that by helping our patients reach their potential, we are improving our communities, states and world. 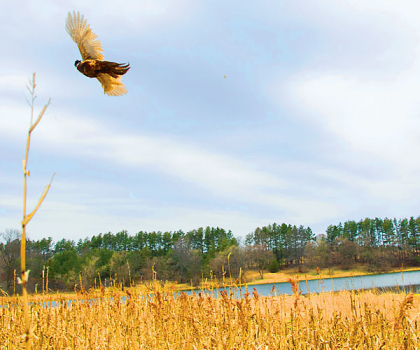 From the bedside to the boardroom, every member of our staff—whether they come from Minnesota or not—possesses this collective ethos and vision. Though our roles vary, the mission is shared. And that’s where you come in. Because of your generous and continued support we’re able to provide world-class expertise and knowledge to our patients. 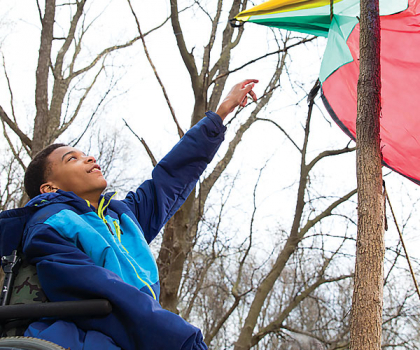 Thank you for helping us continue to explore new treatment options, conduct research that advances care, and advocate for communities to welcome and embrace people of all abilities. At Gillette we believe that necessity can spawn innovation; and your support accelerates our efforts. Because of you our patients are able to show us all that they CAN do. It’s a lot. Just ask them. Or better yet, just keep paying attention. It’s hard to miss. 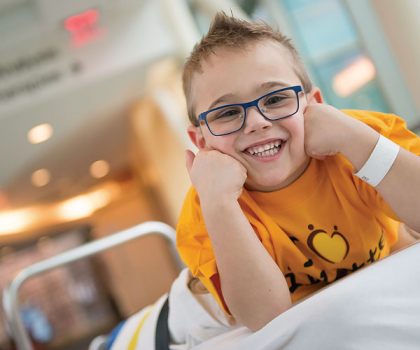 As a not-for-profit hospital, Gillette Children’s Specialty Healthcare is committed to efficiently using donor and taxpayer dollars to provide high-level care to our patients. We’re dedicated to being good financial stewards to keep us sustainable for the future. 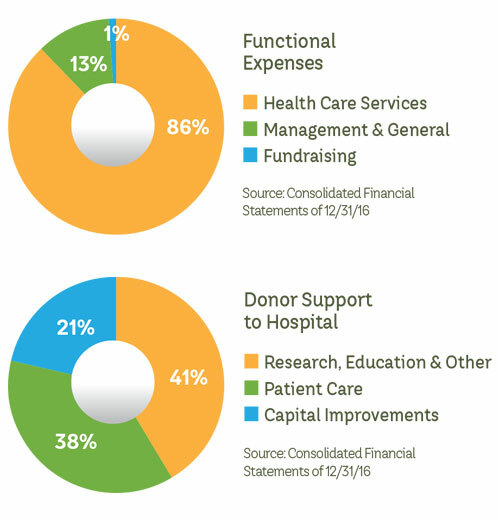 We’re pleased to share our fiscal year 2016 consolidated financial statement of Gillette Children’s Specialty Healthcare and Gillette Children’s Foundation. If you have any questions about this statement, please contact James Haddican at 651-312-3105 or JHaddican@gillettechildrens.com.